This month has not been so good for my running, what with the getting hurt and then going on vacation, but I’m finally getting back into the swing of things. My left knee/right hip haven’t been hurtin’ too much the last few times that I’ve gone out, which is good. Also, I got new running shoes on Friday! 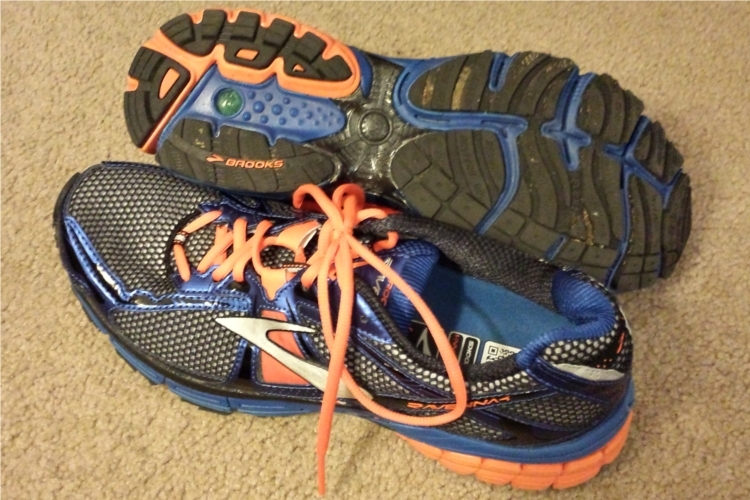 We drove out to the Brooks outlet up in Bothell and I got a pair of their Ravenna 4’s. They were relatively inexpensive and these ones definitely have a bit more support than my old shoes did, so hopefully that’ll keep me from tweaking anything in the future. With my ~7 mile run tonight, I surpassed my running total from last year. That’s great! But I need to do a bit better about running consistently if I wanna reach that goal of 544 miles. Taking two weeks off certainly set me back… right now I’m only on pace for 444 miles! I’ve got the Seahawks 12K coming up in two weeks. Hopefully I can stay healthy for that and run fast! I just passed over the border into Pennsylvania! Race Day: Seahawks 12K Run!